Clifton has been sailing and boating since before he could hold a swab! He first started teaching sailing thirty years ago, first with the Red Cross then through Girl Scouts (earning the Green Angel Award), Boy Scouts, Campfire Boys & Girls and other youth and adult programs. 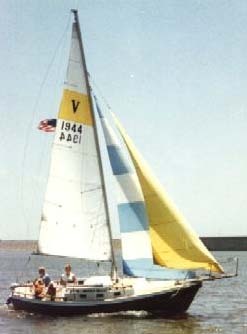 Clifton has sailed and explored the waters of Kansas, Oklahoma, & Texas including Port Arthur, Galveston Bay, around Galveston Island, and into the Gulf of Mexico. He's also sailed on Long Island Sound, the Delaware River, and the ice-clear fjords of Norway. 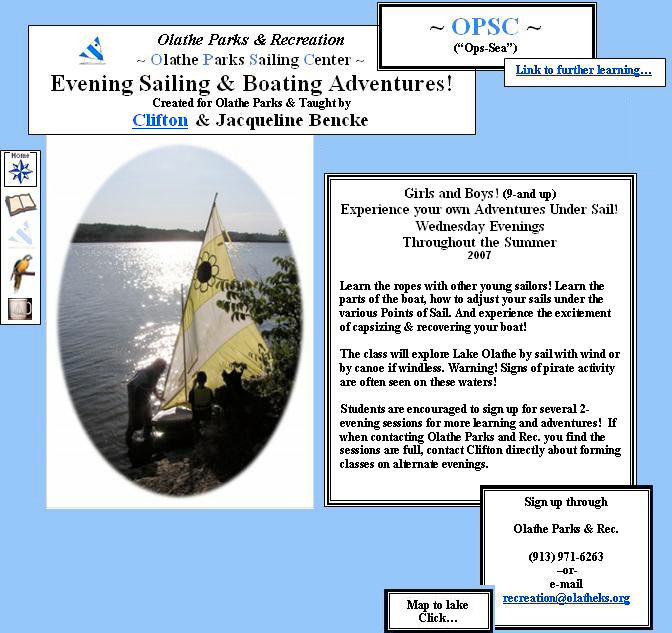 Now living in Olathe, Clifton has been leading the adult sailing program on Shawnee Mission Lake for Johnson County Parks and Recreation, getting ready for his third year there. Almost every class is full of local adults wanting to learn the enjoyment of sailing! Clifton and Jackie sail their family boat, a 23-foot Venture Newport at Perry Lake. This is the boat that has sailed the waters of the Midwest, Galveston area and the Gulf of Mexico.